A fashionable combination of modern looks and the latest LED technology, Cocoweb's Blackspot ceiling pendant lights add the designer touch to any room with the latest in LED technology! When shopping for a pendant light, Cocoweb offers the perfect light for any solution. 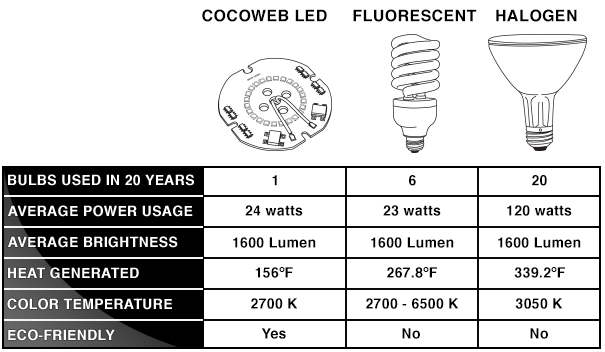 With over 6,000 varieties to choose from, all Cocoweb barn lighting includes a pre-installed LED light, weatherproof and weather resistant coating for outdoor installations, and a designer look to embellish any decor. The hanging Blackspot is done in a style for the modern design. These lighting fixtures have been used for centuries and are still lighting up many homes and businesses today. The Blackspot deep shade casts a warm swath of yellow illumination that's perfect for any indoor or outdoor style, making it perfect for porches, kitchens, restaurants, shop entrances and more. For that bit of modern flair for your home or business, you can't go wrong with the Blackspot pendant light! Available with 8”, 10”, 12” and 14” shades, the Blackspot is suited to illuminating small to medium areas. And to blend in best with any design, the Blackspot features Black, Mahogany Bronze, White, Cherry Red, Jade, and Matte Black finishes. The hanging nylon cord is rated for indoor use only, and is adjustable for a length up to 6 feet. For outdoor use, the Blackspot can be equipped with one of Cocoweb's versatile multi-length downrods (available in black, mahogany bronze, and galvanized silver), which holds the shade steady to a length of up to 4 feet. For kitchen lighting with a more modern look, be sure to check out our Goodyear and Peony hanging lights! If your living room lighting needs a look more on the vintage side, our Oldage and Calla ceiling lights also provide that classic farmhouse charm with modern LED lighting. The Blackspot Pendant Light mounts easily onto most ceilings and drywall with the included installation screws and anchors. The ceiling canopy also supports installation on indoor vaulted ceilings with the hanging cord. A rubber gasket is also included in order to seal and waterproof the base plate. The hanging Blackspot pendant light is done in a style for a classic design. The Blackspot's wide shade casts a warm swath of yellow illumination that's perfect for any indoor or outdoor style, making it perfect for porches, kitchens, restaurants, shop entrances and more. 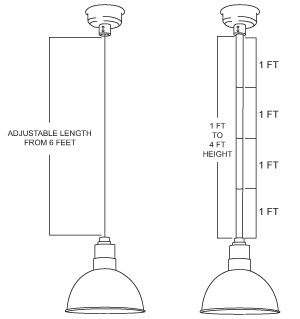 The hanging nylon cord is rated indoor use, and is adjustable for a length up to 6 feet. 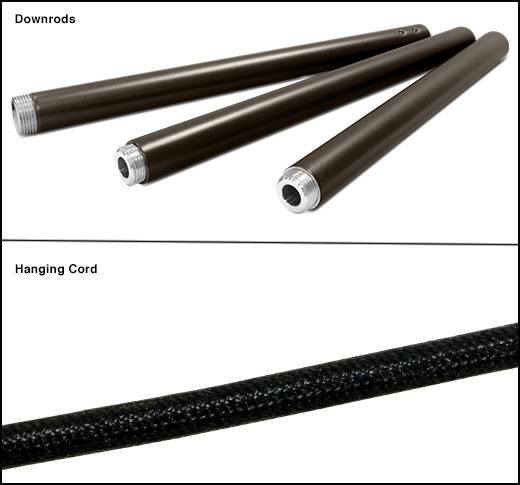 For outdoor use, the Blackspot can also be equipped with one of Cocoweb's versatile multi-length downrods (available in black, mahogany bronze, and galvanized silver), which holds the shade steady to a length of up to 4 feet. Our Blackspot Pendant lights are MET certified for outdoor weather conditions with a high quality steel frame that’s coated with a water-resistant finish. This power coating allows the lamp to resist fading and chipping, preserving the look of your lamp over time. Rain or shine, Cocoweb pendant Lights are built to last. 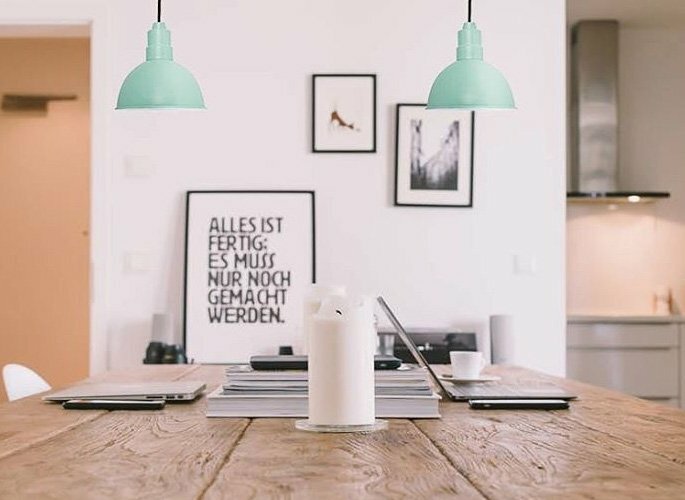 Our Blackspot Pendant lights can be customized in a variety of different installations to be the perfect match for every area of your home! Complete the collection with our Blackspot Pendant Lights, Wall Sconces, Floor Lamps, and Sign Lights!